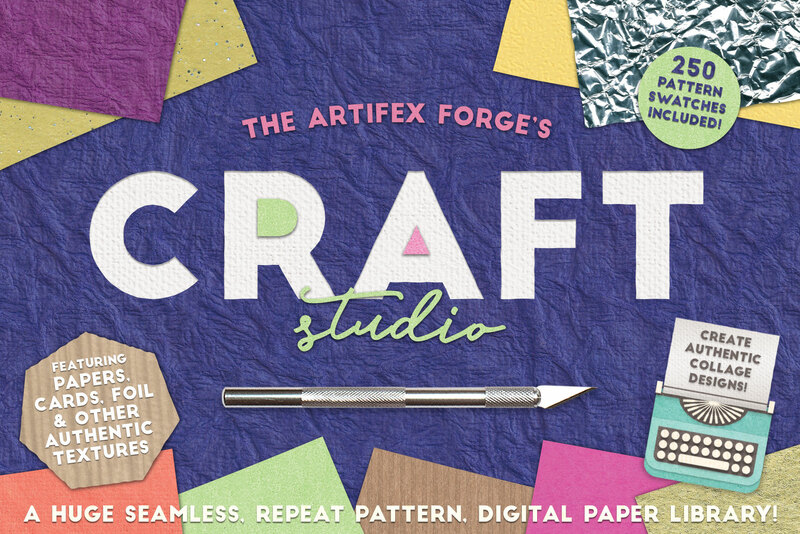 Create craft collages with these authentic craft material, repeat patterns. 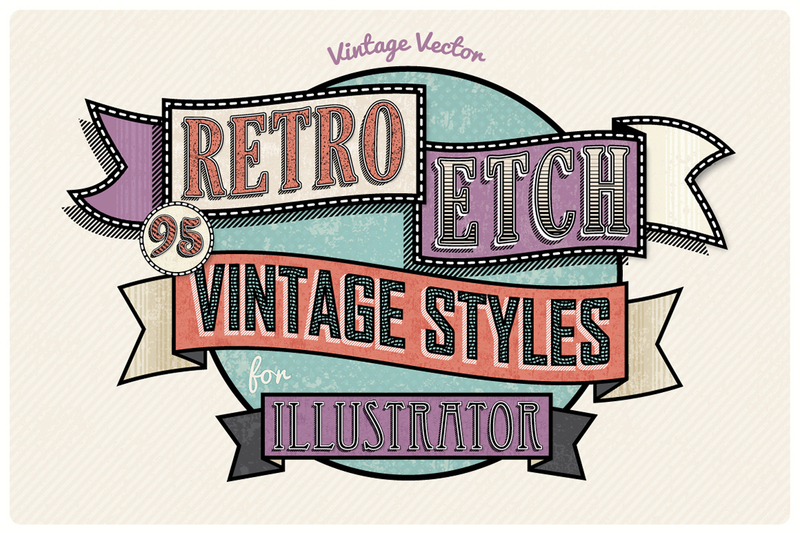 Create authentic vintage art with ease in Illustrator! 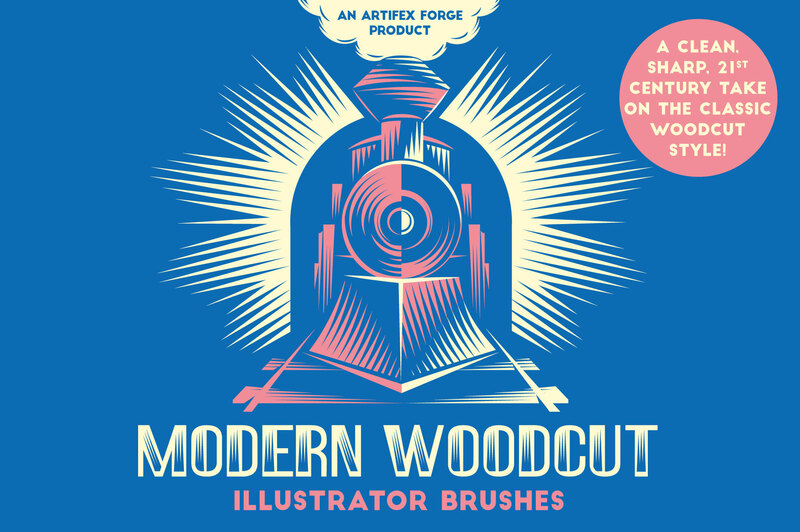 Create 21st century woodcut style images in Illustrator! 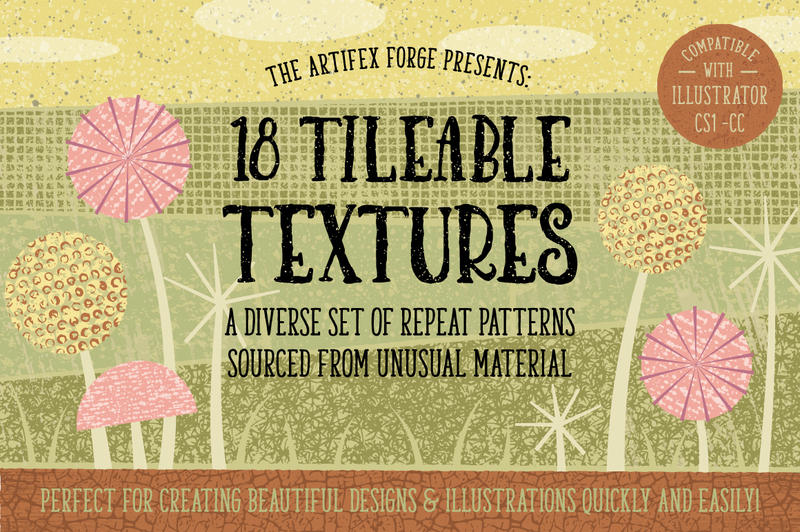 A varied and comprehensive library containing unique yet useful textures! 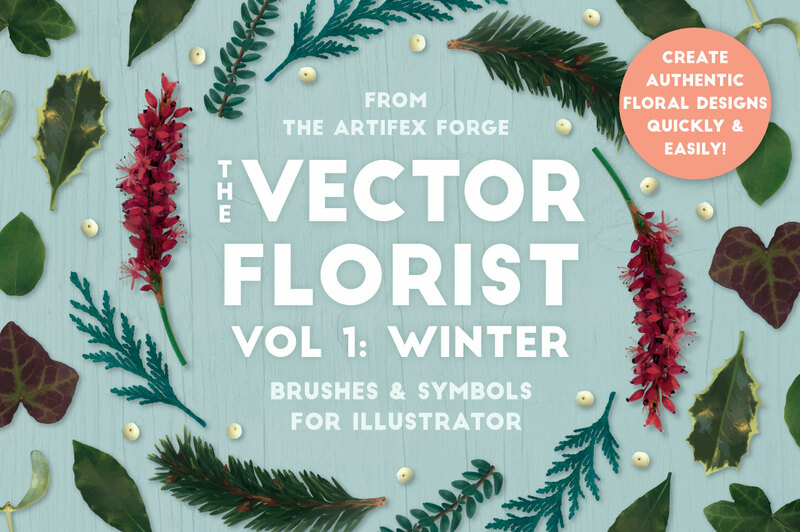 Create artistic arrangements and floral designs in Illustrator! 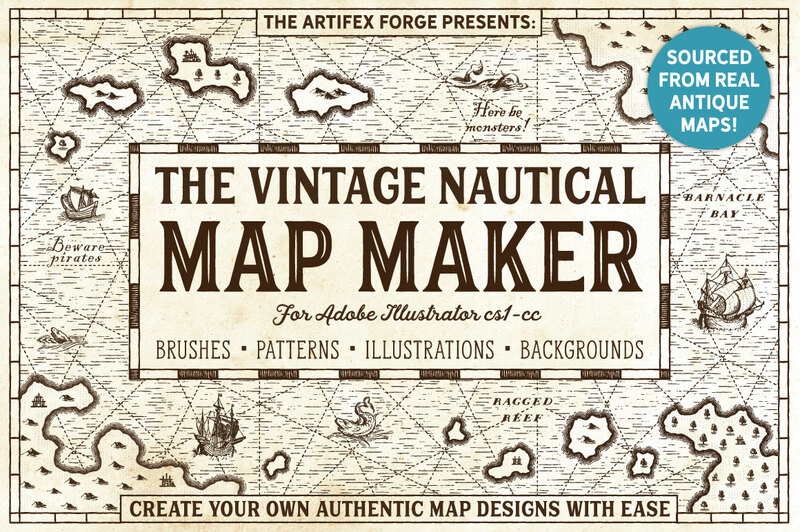 Make amazing authentic map designs in minutes! 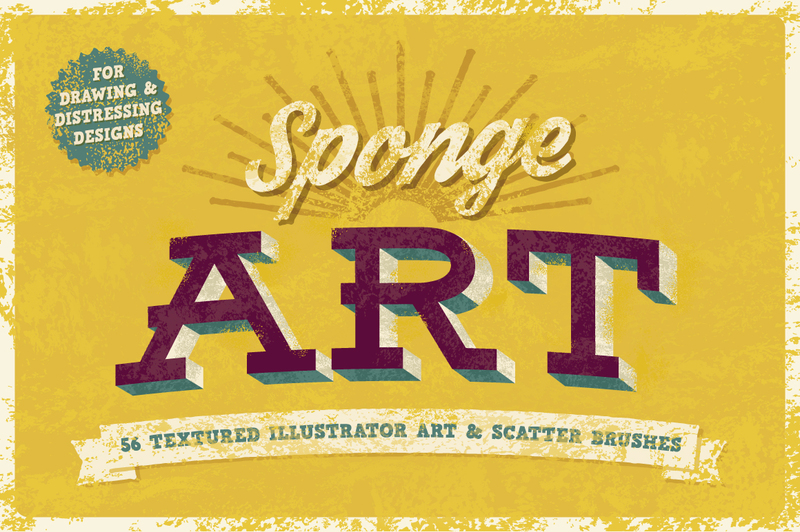 Instant vintage text effects for Illustrator! 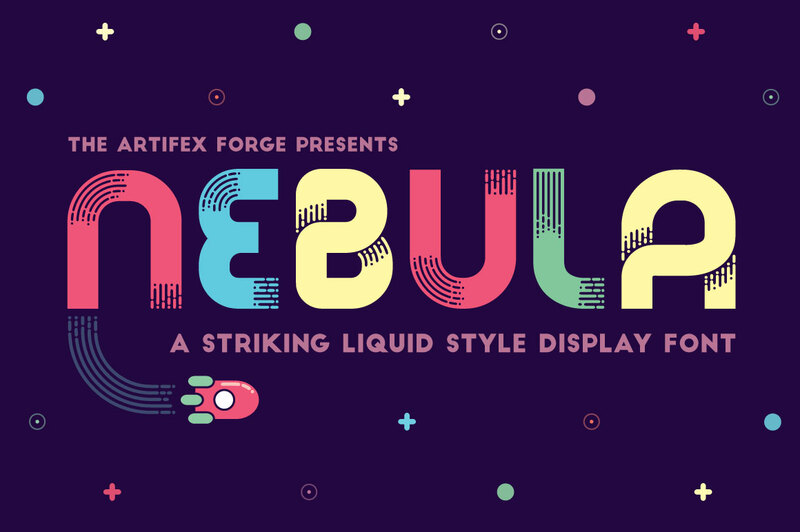 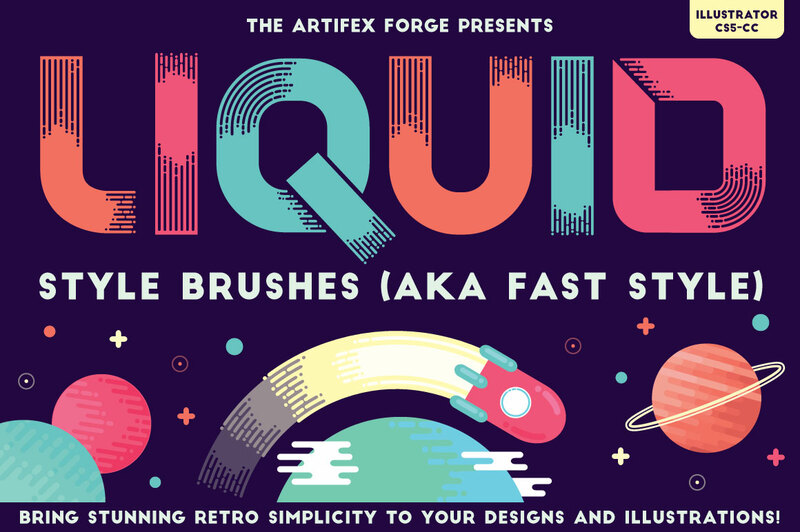 The font that brings retro into the 21st century! 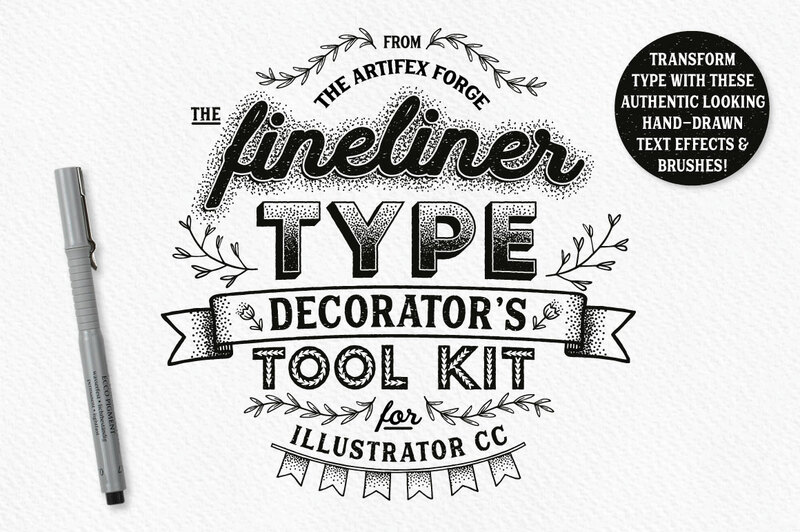 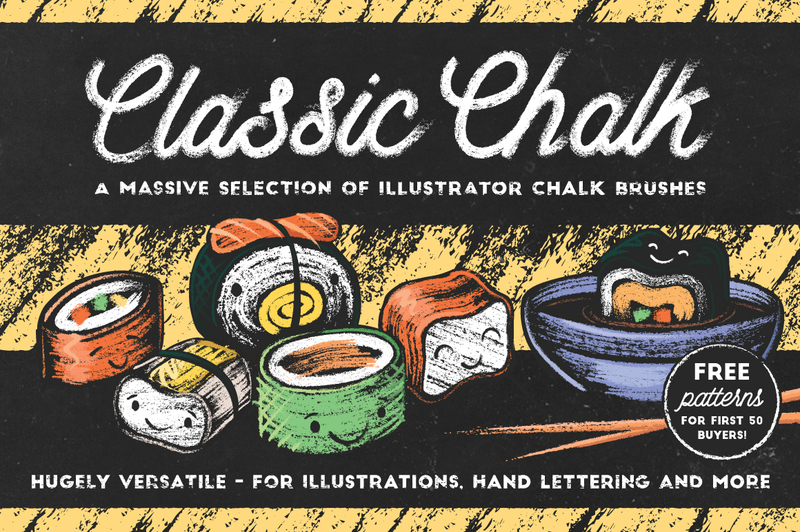 A set of Illustrator brushes that brings retro into the 21st century! 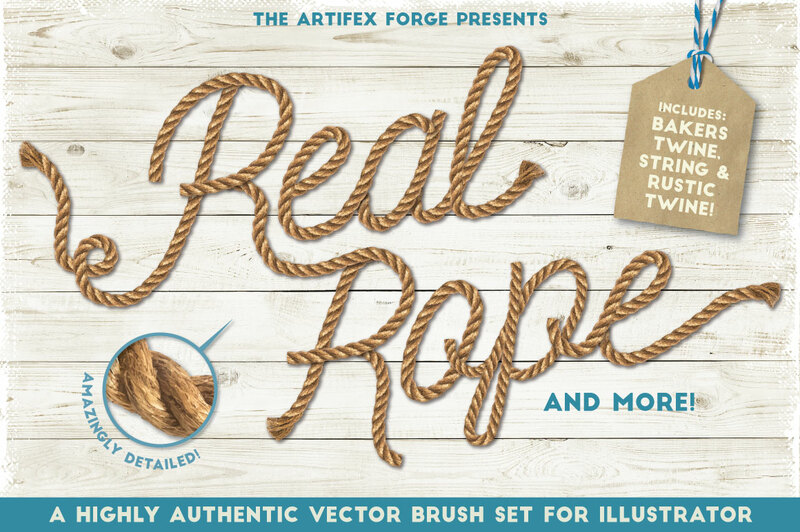 Highly realistic Illustrator rope, string and baker’s twine brushes. 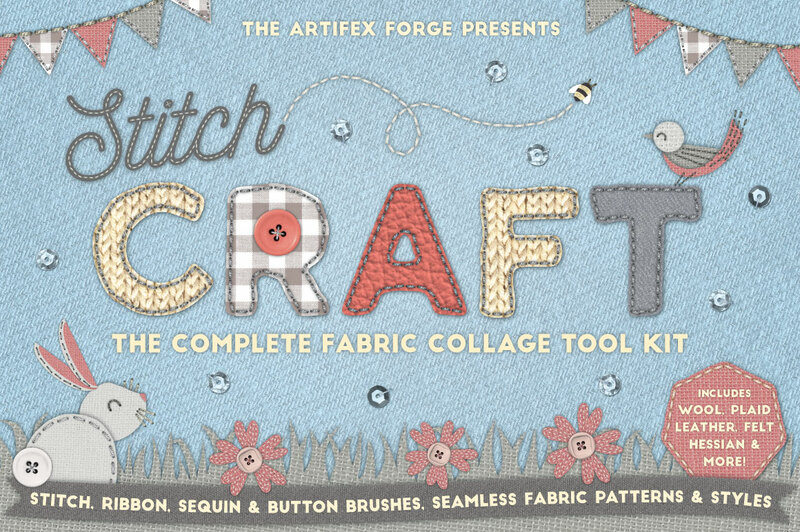 Create your own fabric collages! 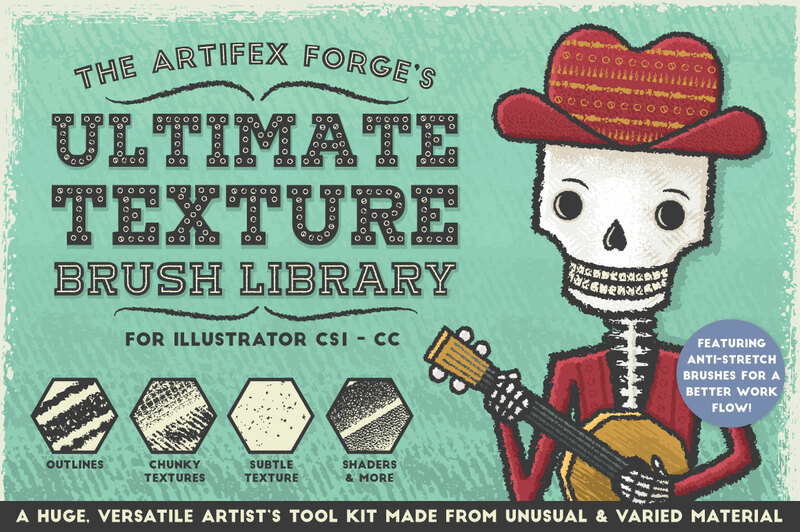 A huge selection of craft-themed brushes and Seamless Texture Patterns for Illustrator! 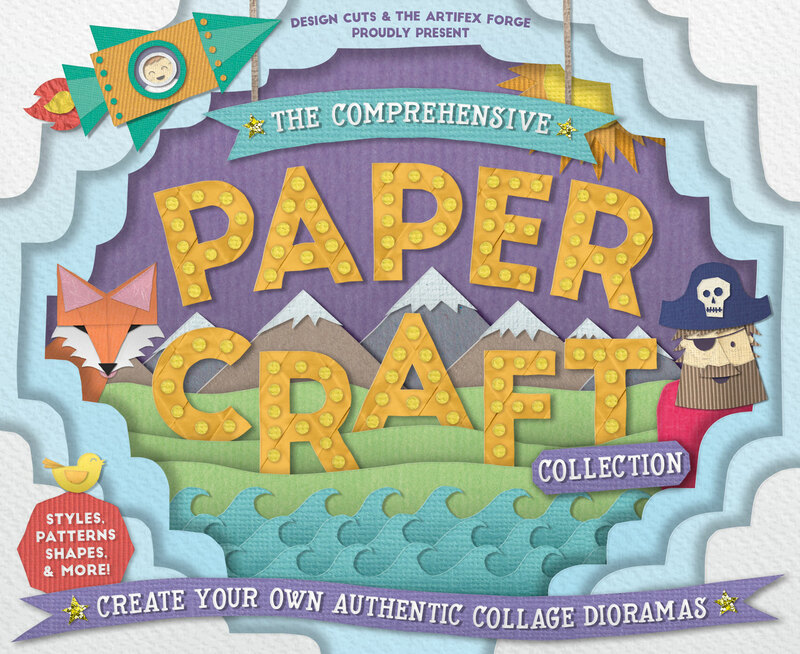 A massive collection of paper craft resources for Photoshop! 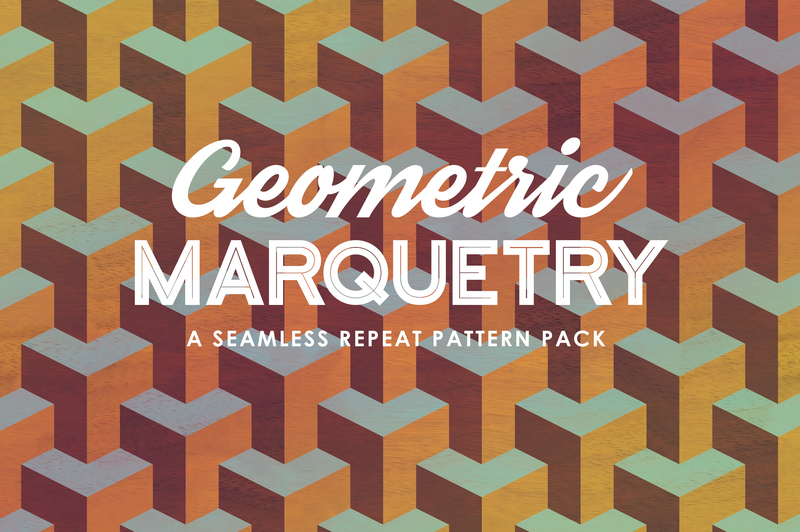 An eye-catching selection of classic and original geometric patterns! 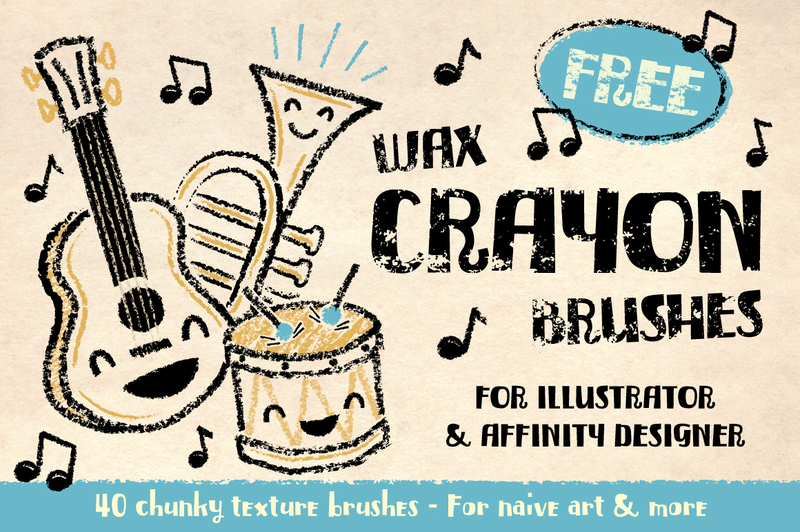 Add charm and texture to your vector illustrations with these FREE brushes! 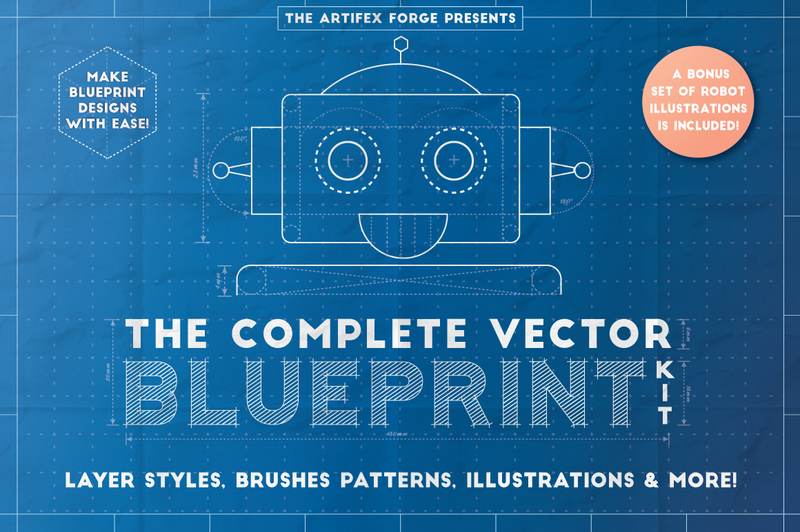 Everything you need to create your own digital blueprints! 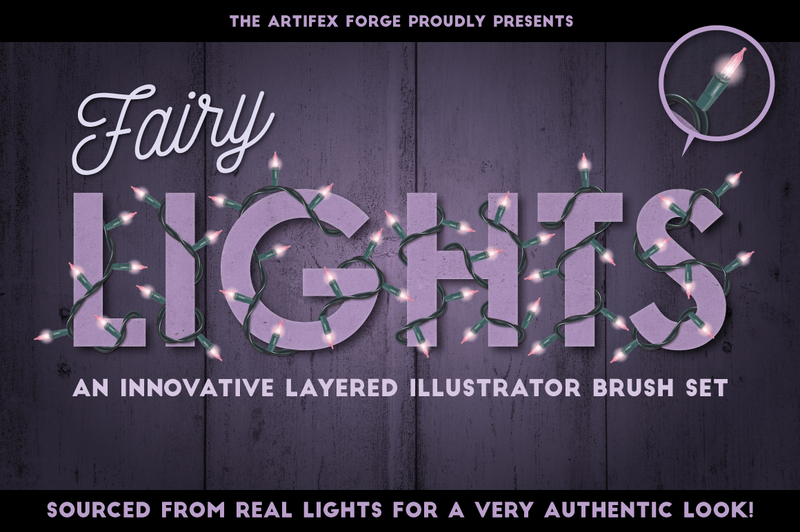 Fairy Light Brushes for Illustrator. 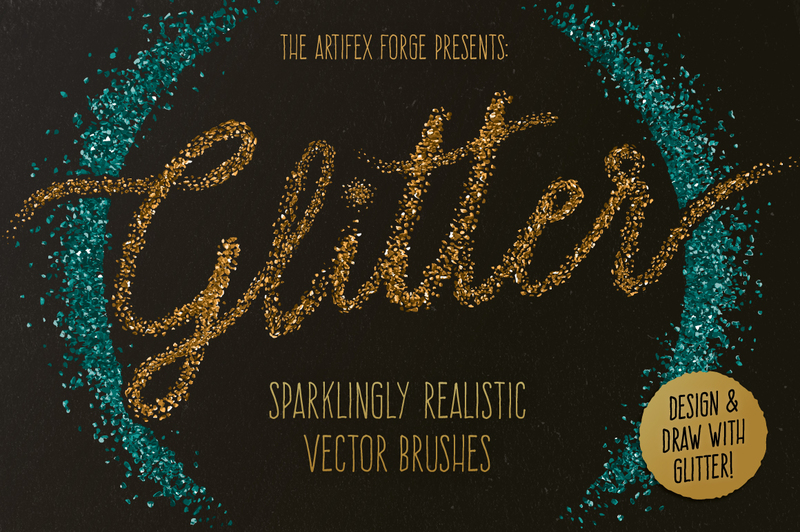 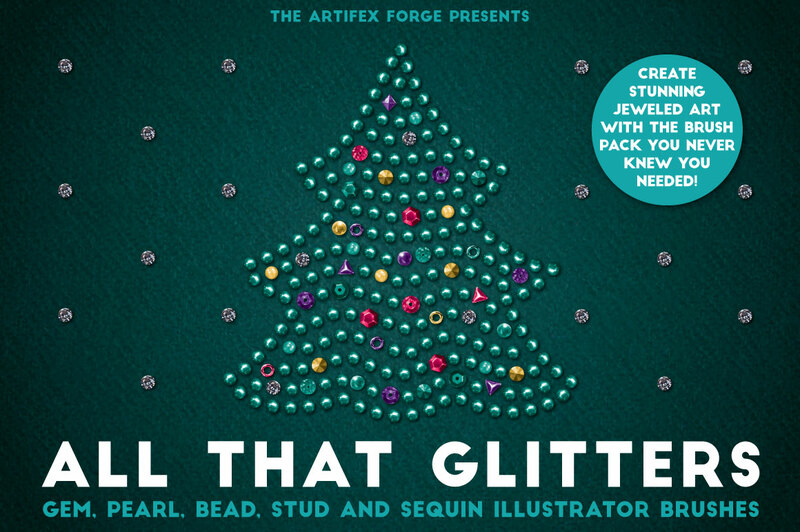 Illustrator brushes made from real glitter! 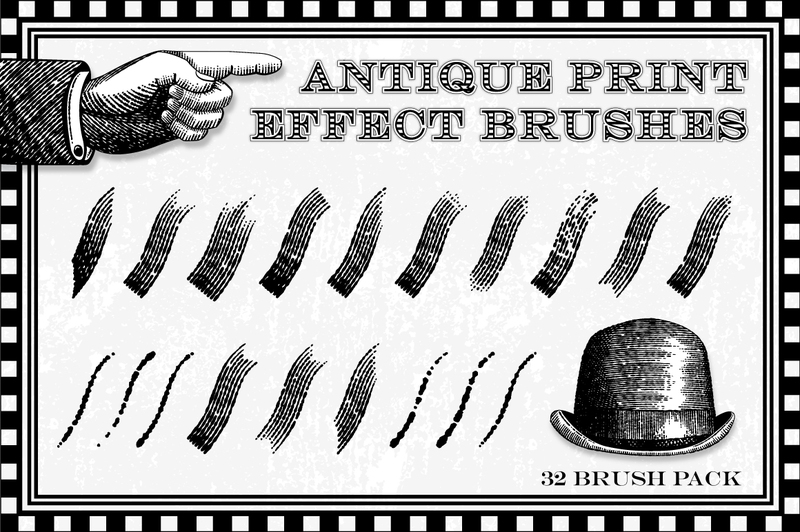 Digital effects that look just like the real thing! 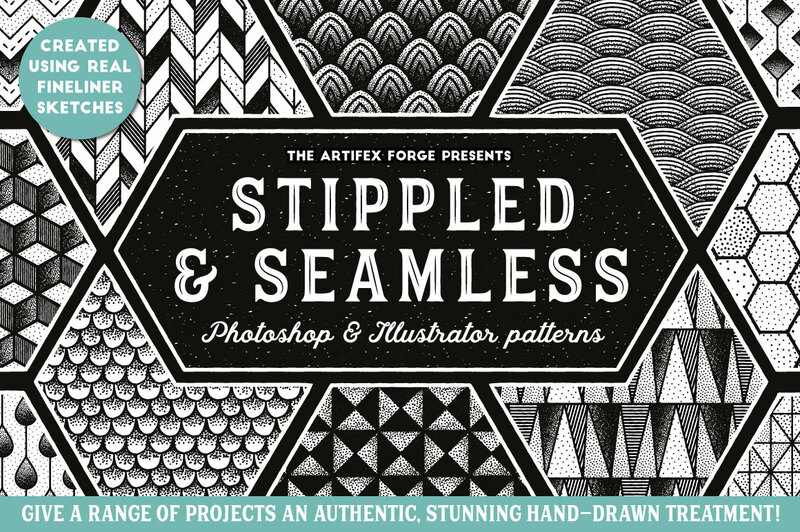 Create authentic-looking, etched illustrations with these incredibly realistic, engraved, repeat patterns! 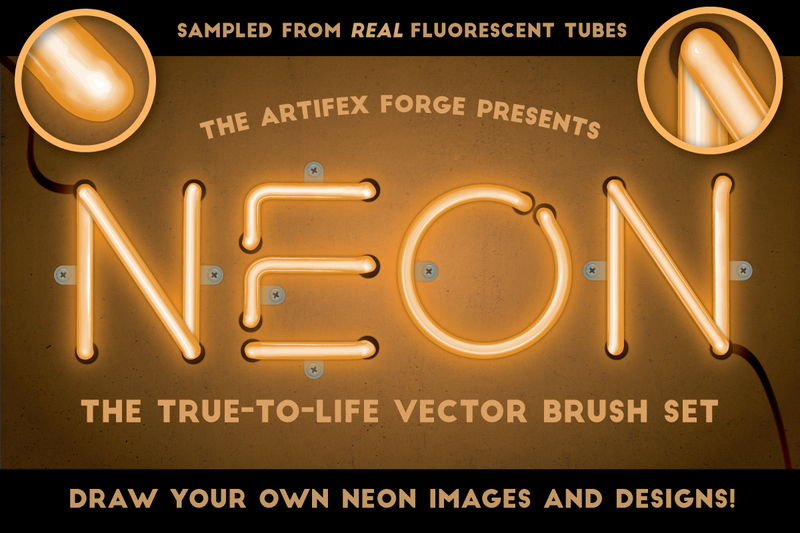 Draw your own neon illustrations and designs with my best-selling Neon Brushes! 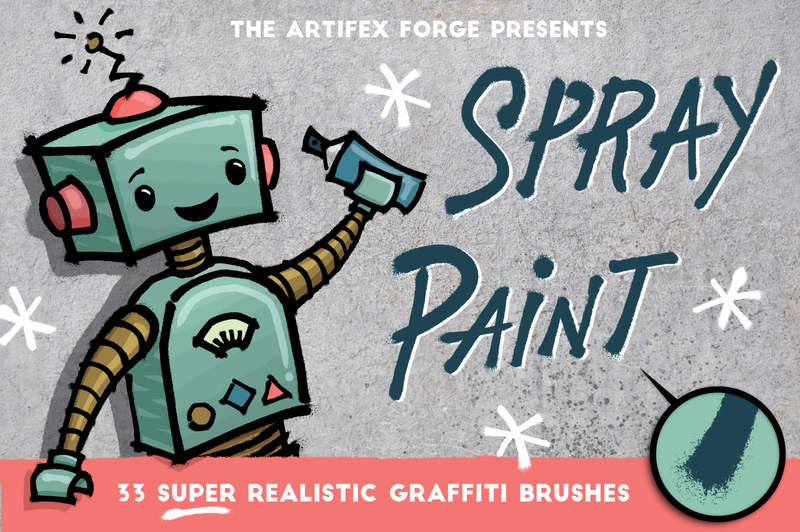 Spray Paint Brushes for Illustrator – create your own graffiti without the risk of a criminal record! 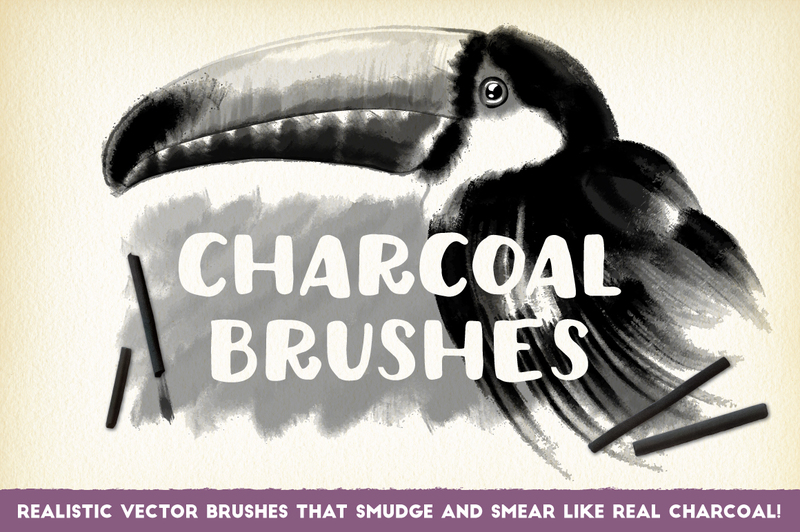 These life-like textured, Illustrator brushes are the next best thing to using real pastels! 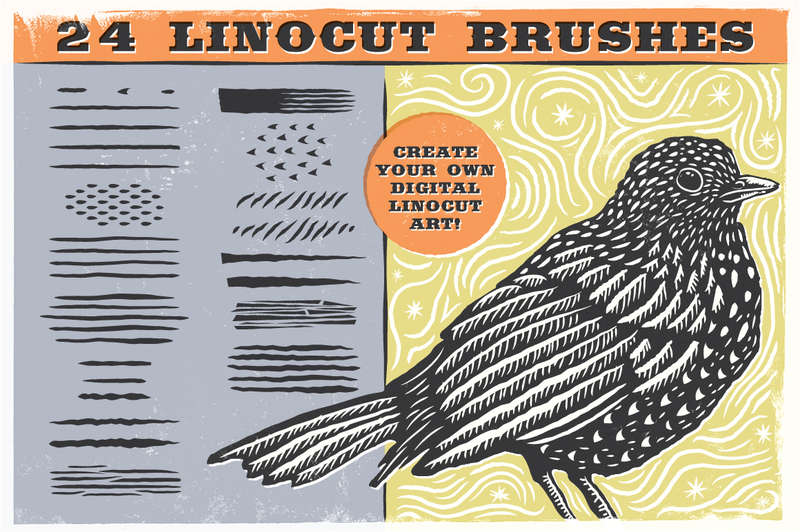 Create amazingly realistic linocut designs without getting your hands dirty! 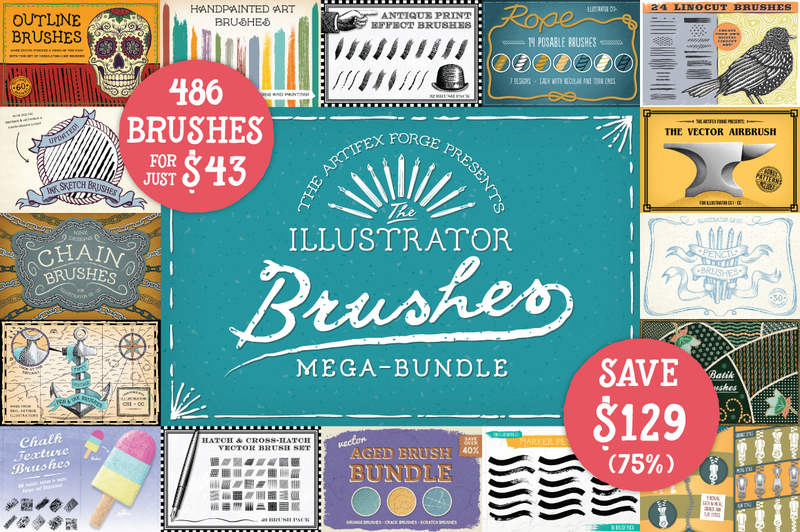 824 vector brushes for just $50 – save 74%! 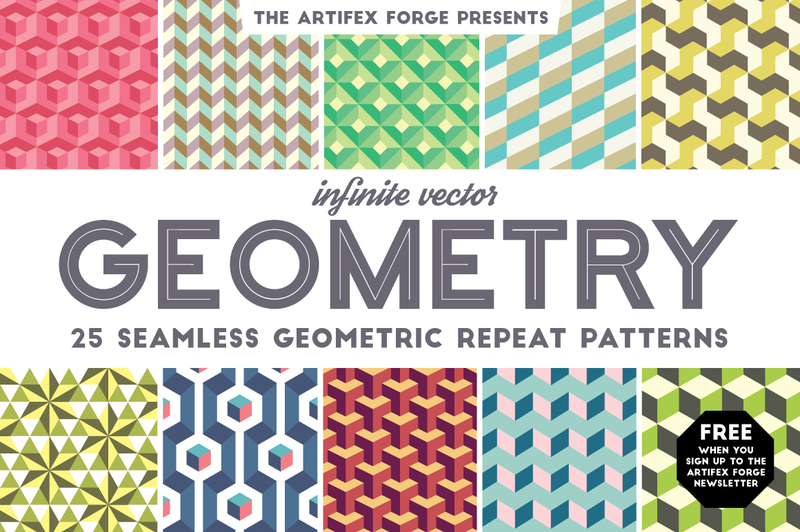 Retro geometric patterns with an original, eye-catching twist! 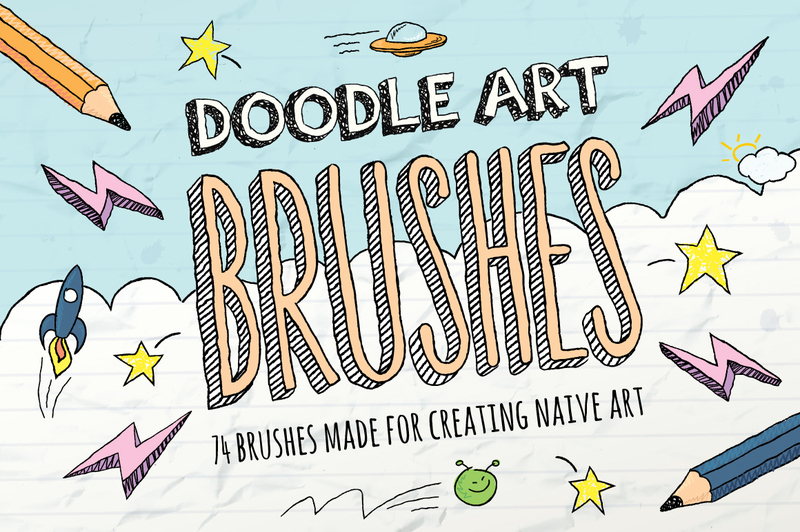 Get the naive charm of a doodled school exercise book into your designs and illustrations with these messy, sketchy brushes! 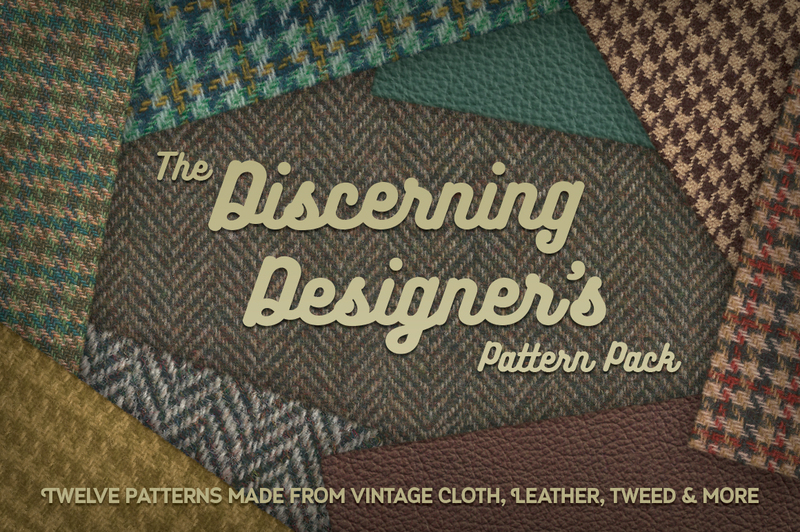 Dress your designs like a distinguished gentleman with these authentically sourced repeat patterns! 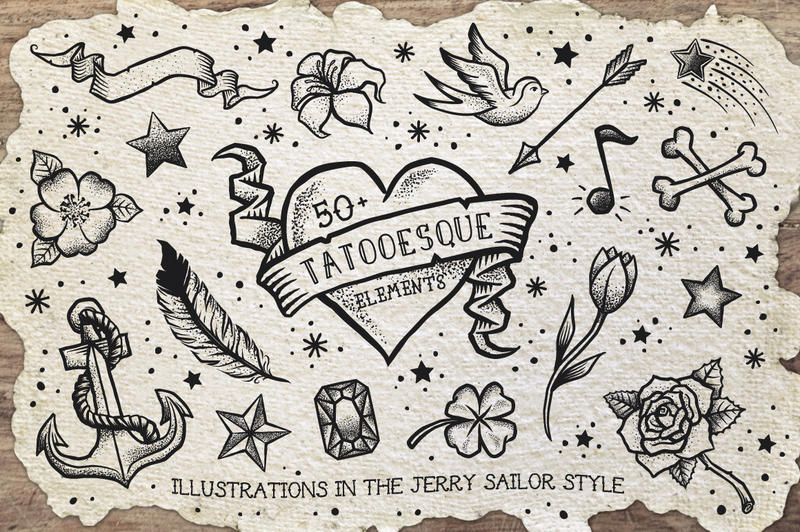 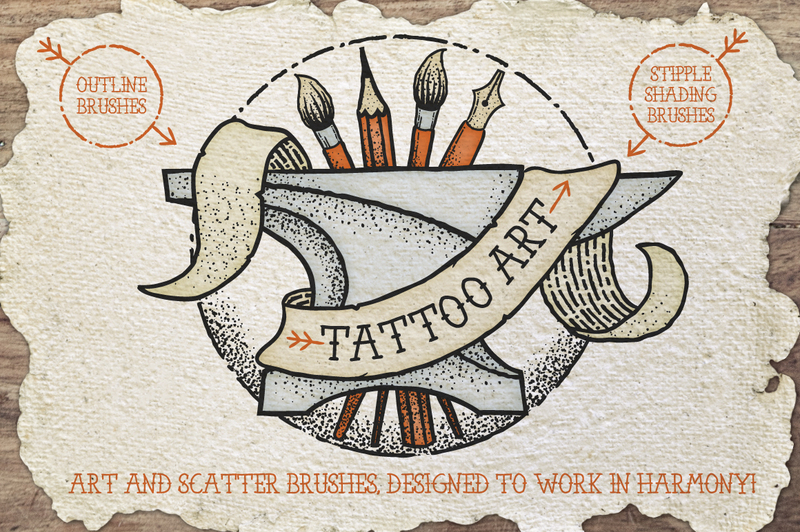 Create beautiful tattoo inspired art with these stipple shading and outline brushes! 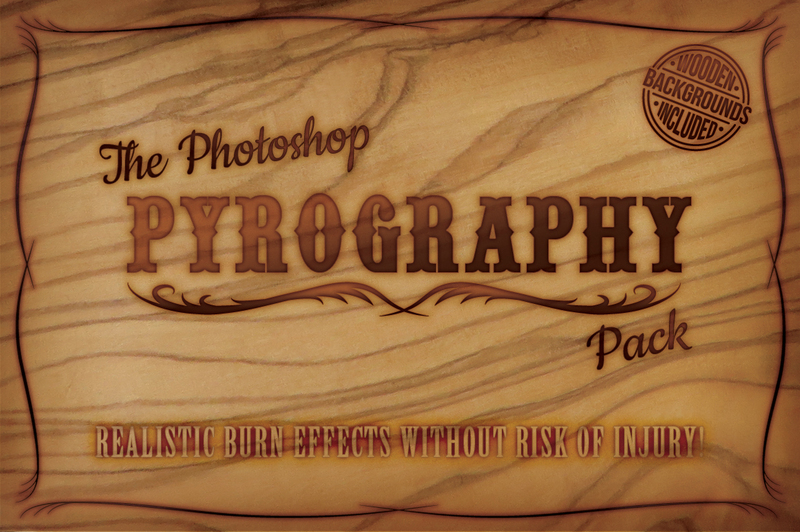 True to life carved wood effects for Photoshop! 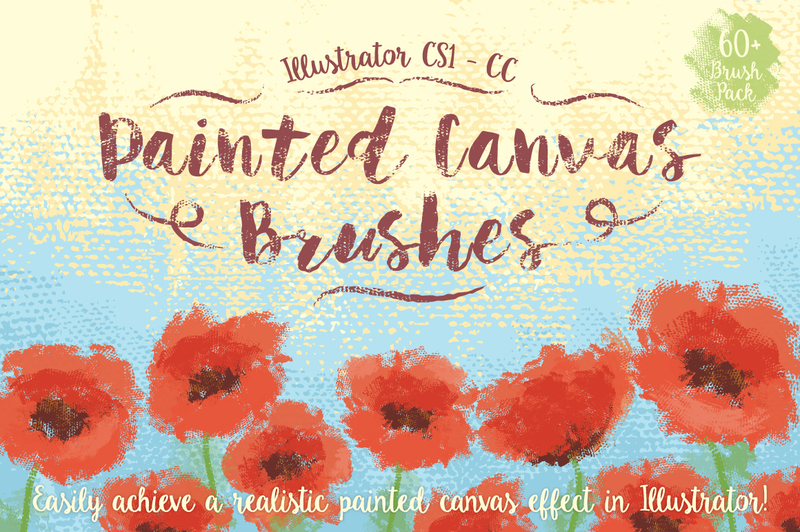 Beautifully textured paint brushes for Illustrator! 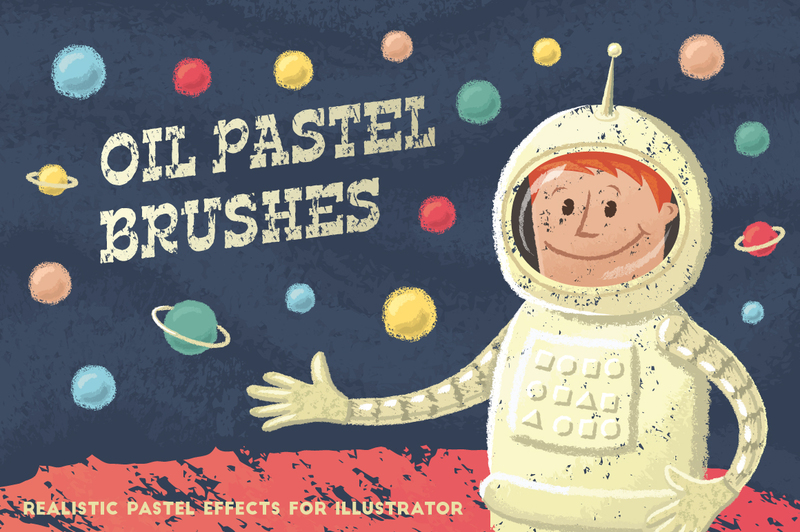 A huge selection of sponged paint brushes for Illustrator! 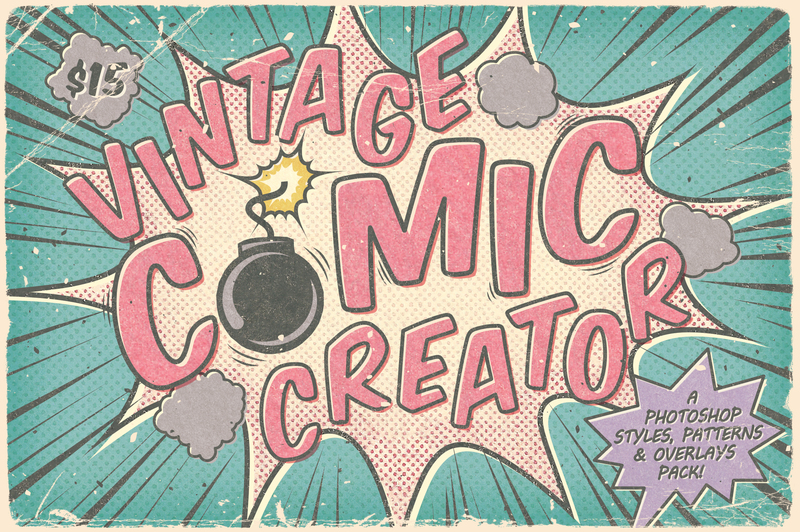 A massive vintage comic book design resource pack for Photoshop! 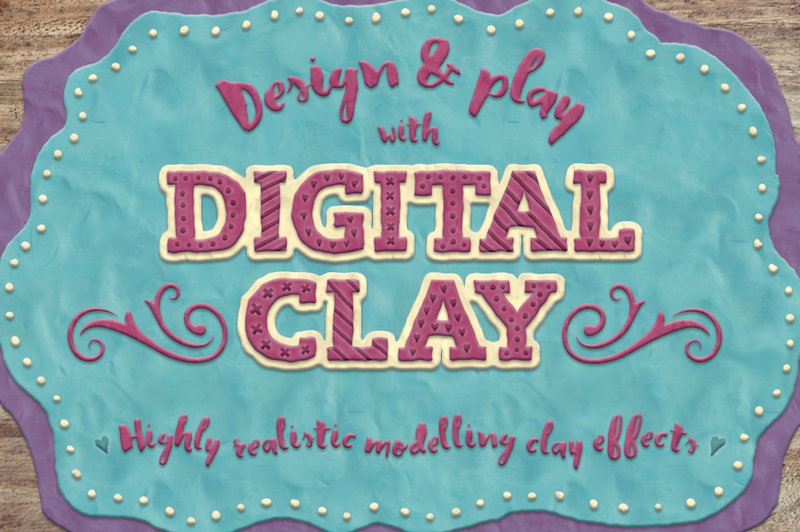 Create modeling clay designs with this authentic Photoshop effects pack! 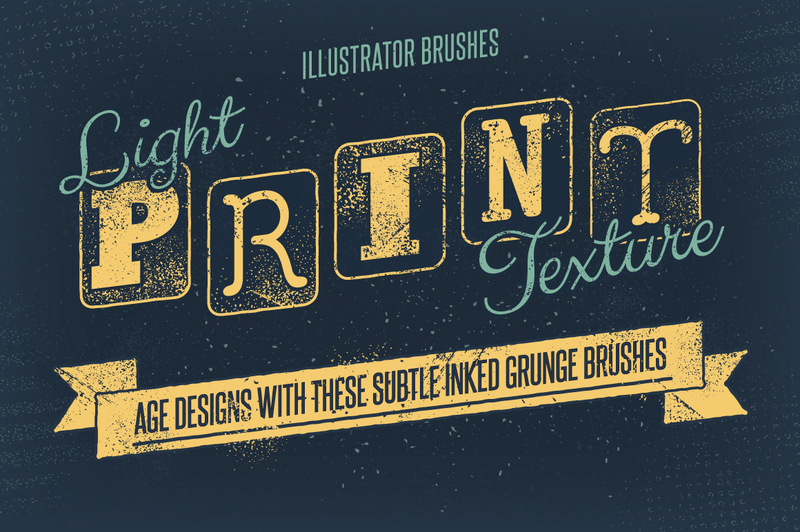 Light grunge texture brushes for Illustrator – perfect for aging your designs! 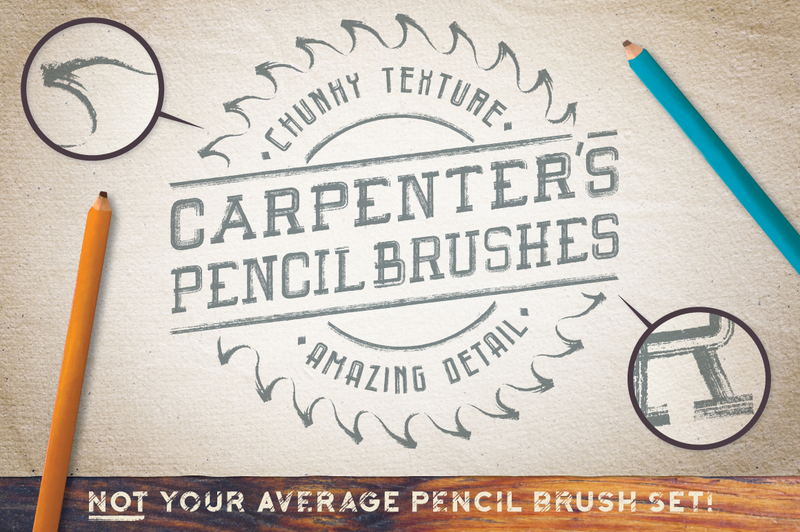 Chunky pencil texture brushes for Illustrator! 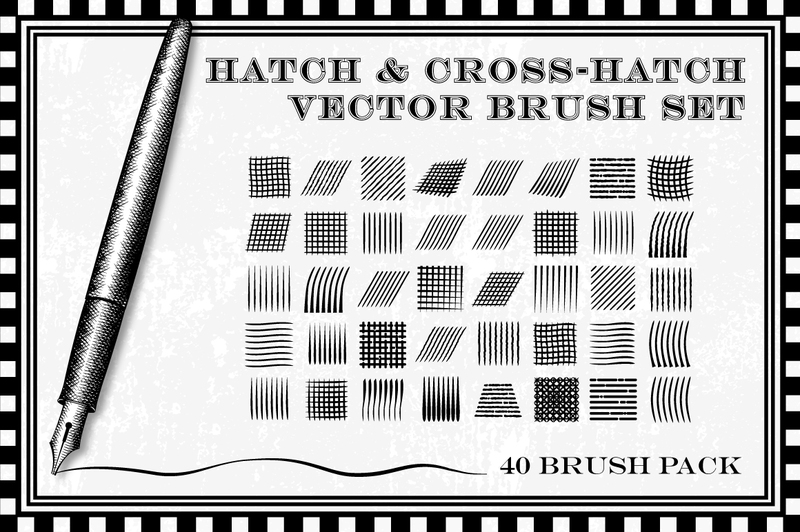 The easiest and most flexible way to age your designs – 42 vector brushes. 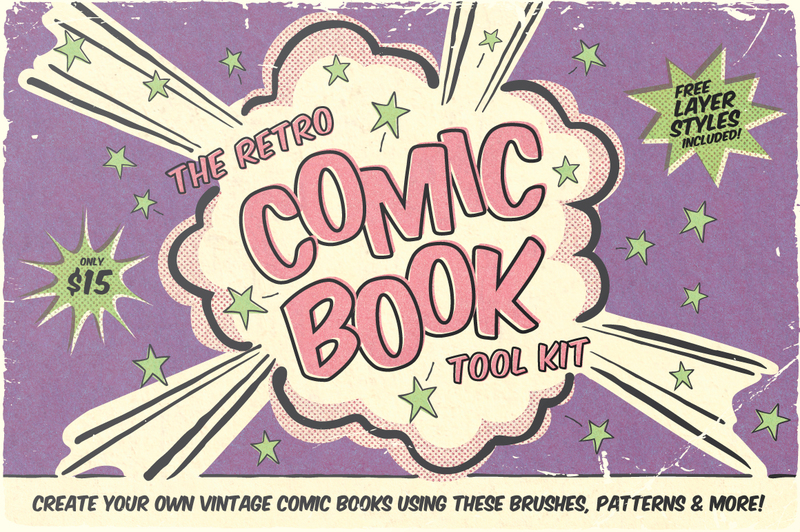 Vintage comic book brushes, patterns and more for Illustrator! 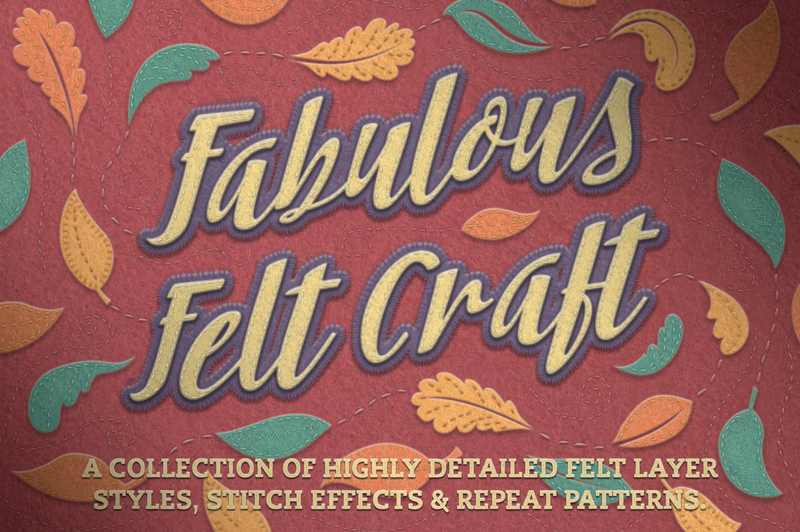 Very realistic felt layer styles, patterns and stitch effects for Photoshop! 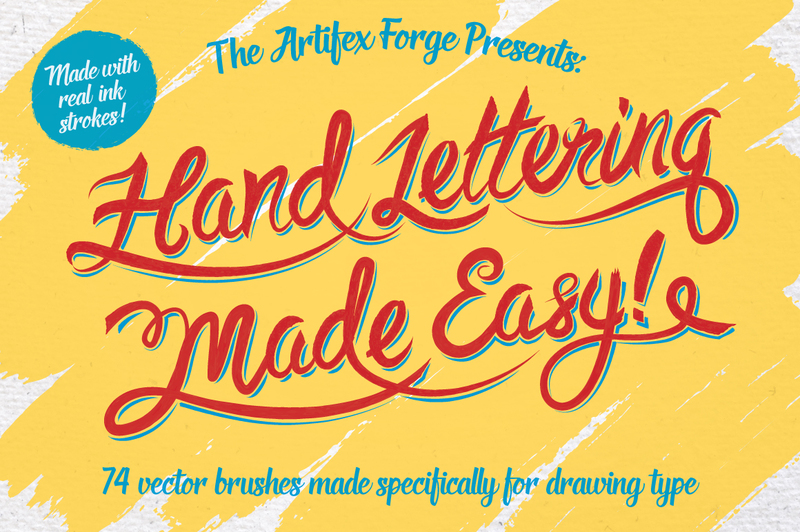 Make your own hand lettering designs with these original Illustrator brushes! 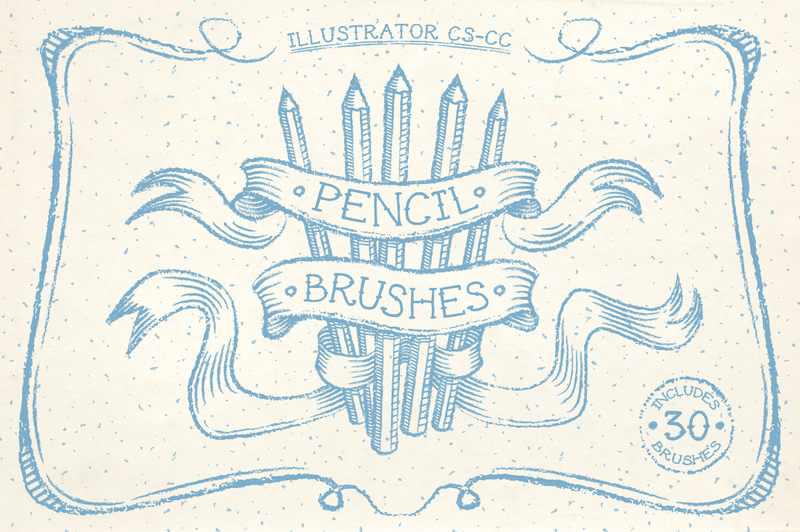 A set of Illustrator brushes made for primitive art illustrations, naive childish drawings and more! 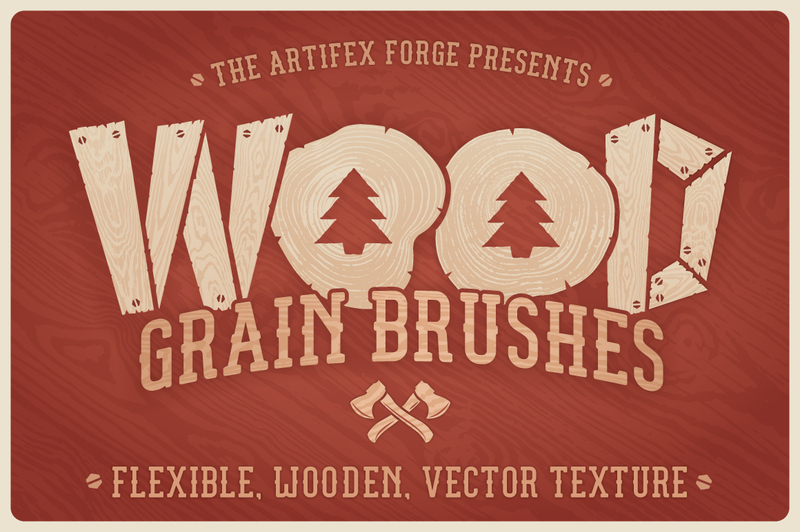 Versatile and realistic wood texture brushes for Illustrator! 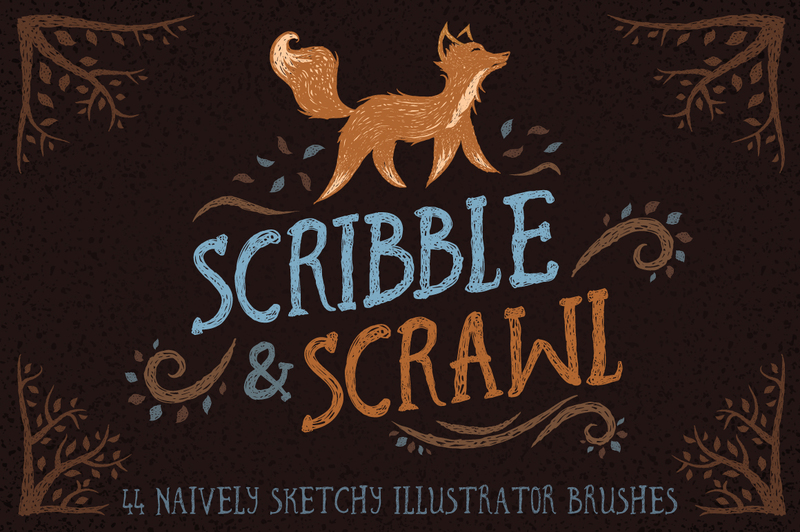 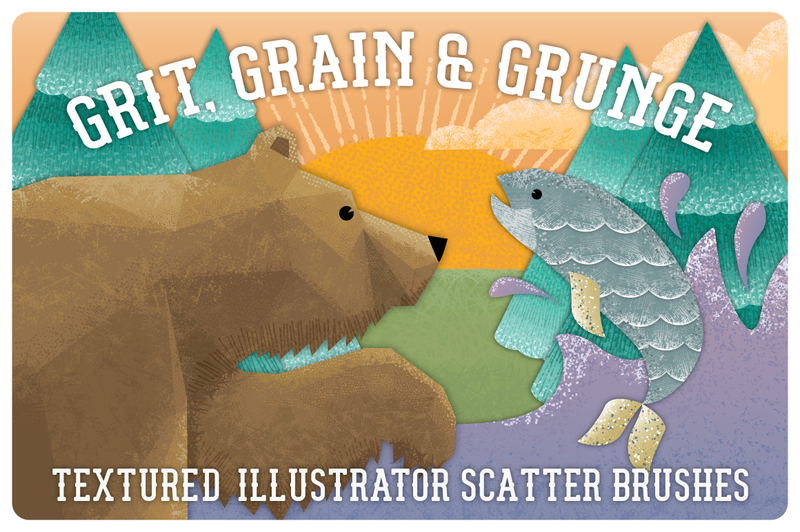 A broad range of Illustrator scatter brushes – age and texture your designs with ease! 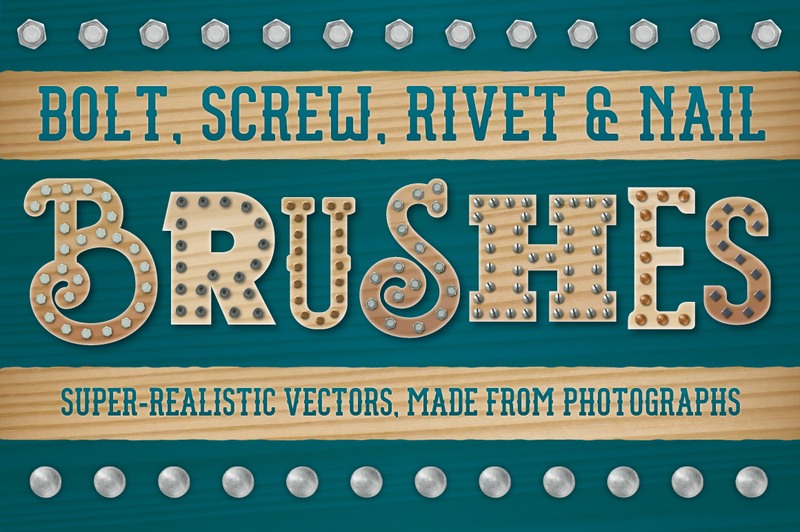 Easily add lines of bolts, nails, screws and nails to your designs with these realistic vector brushes! 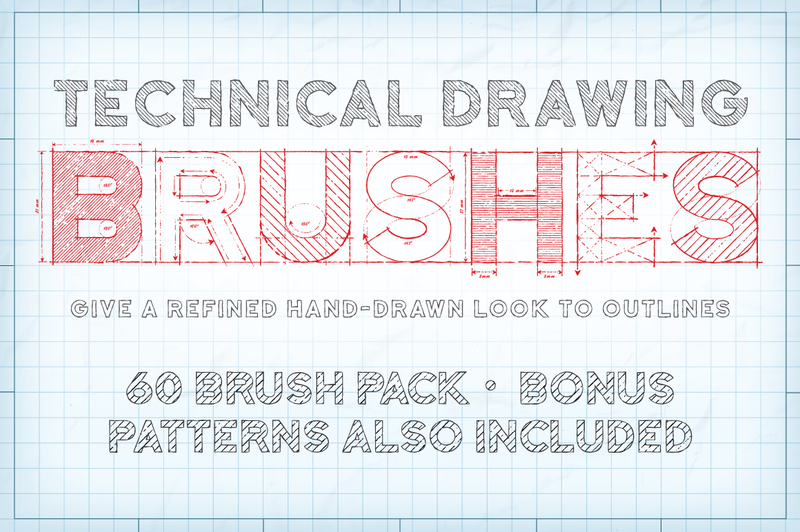 Create blueprints, technical drawings and more with this set of highly detailed Illustrator brushes! 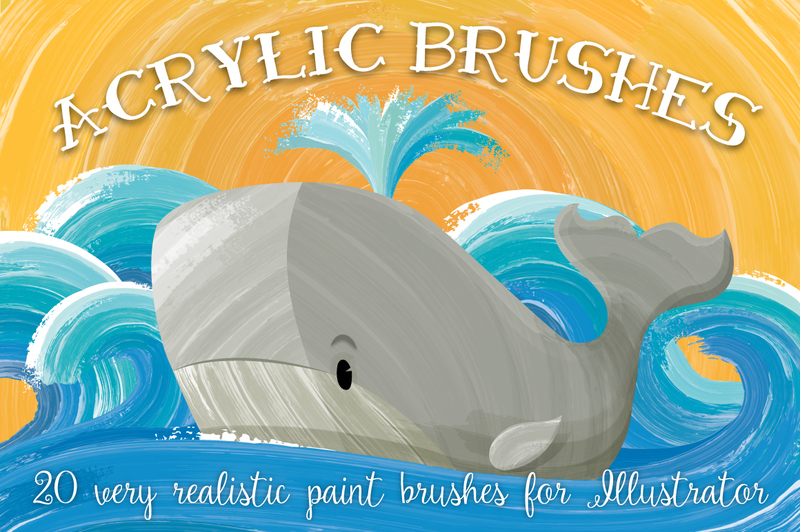 Super-realistic Acrylic Brushes for Illustrator! 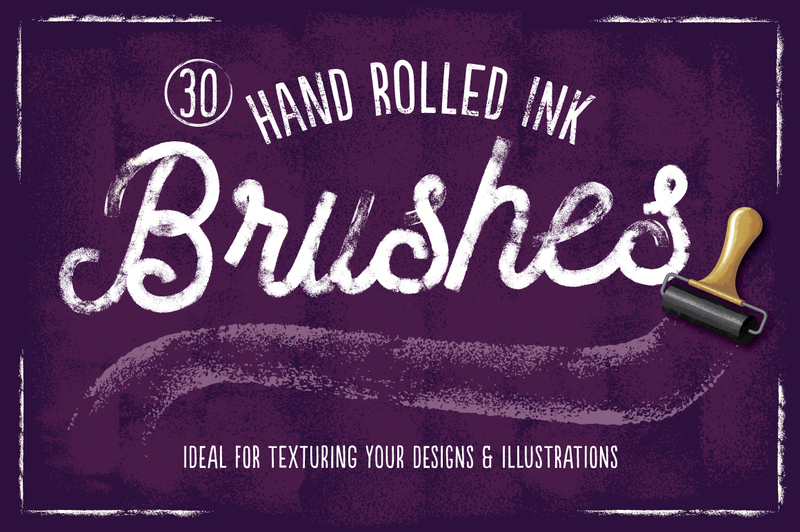 Massively versatile rolled-ink brushes for Illustrator! 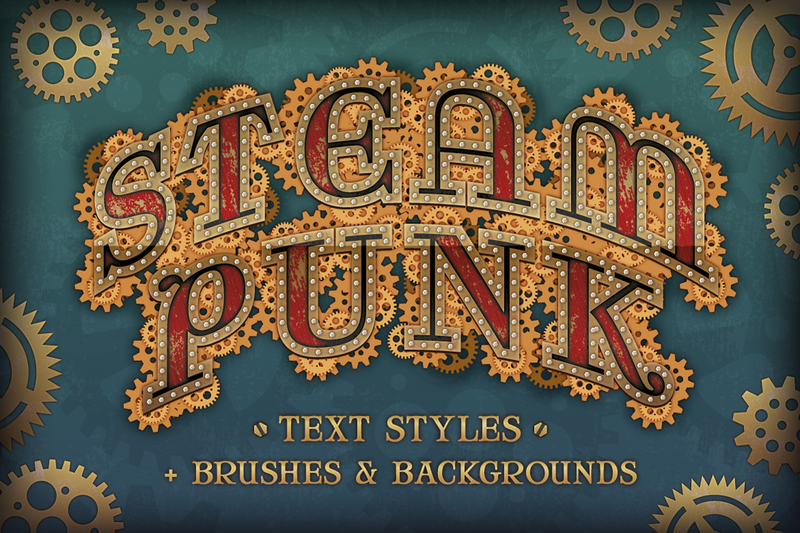 Instant Steam Punk text effects and more! 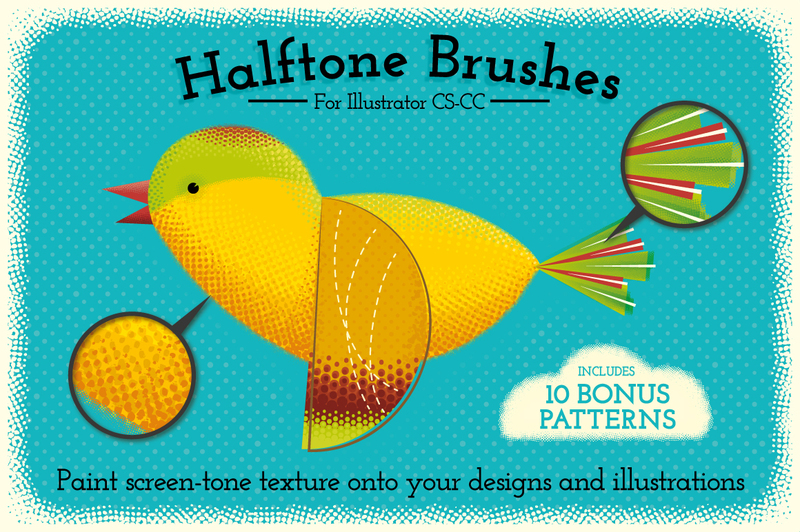 Halftone texture in brush format for Illustrator! 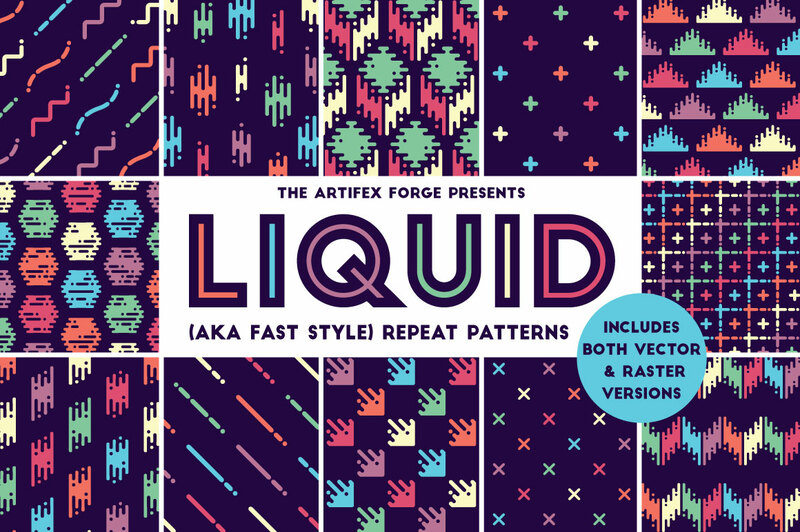 Bonus patterns included. 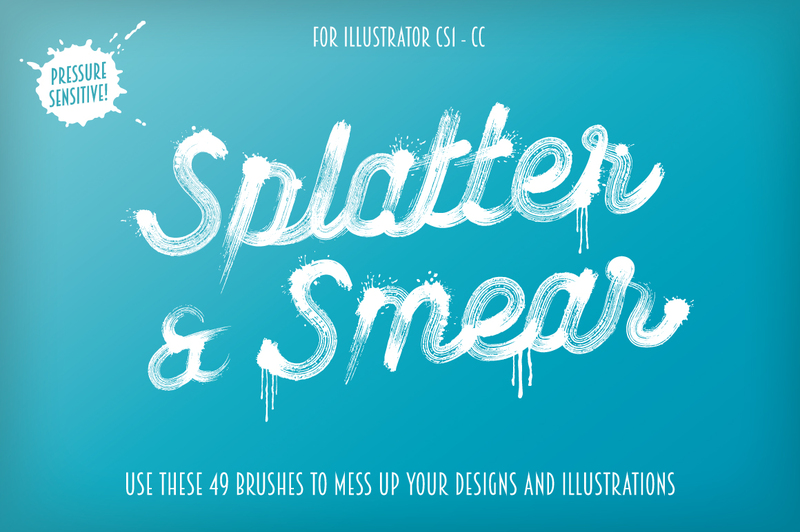 Drip, drop, smear and splatter brushes for Illustrator! 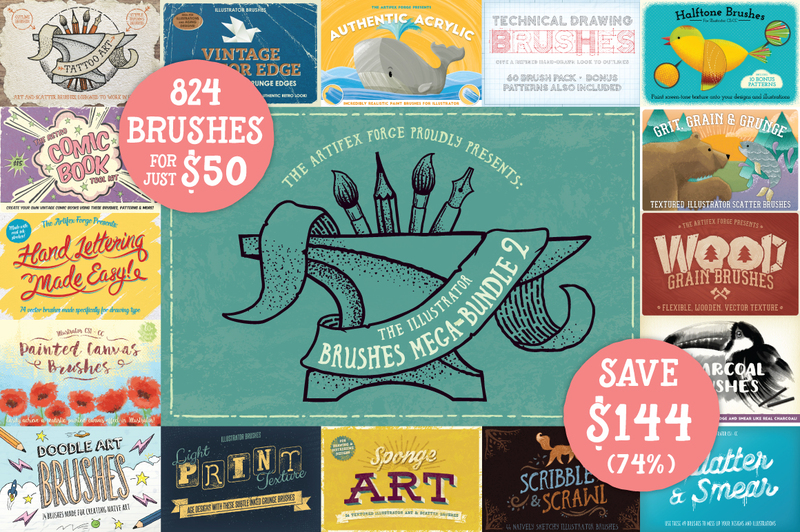 486 Illustrator brushes for just $43 – SAVE 75%! 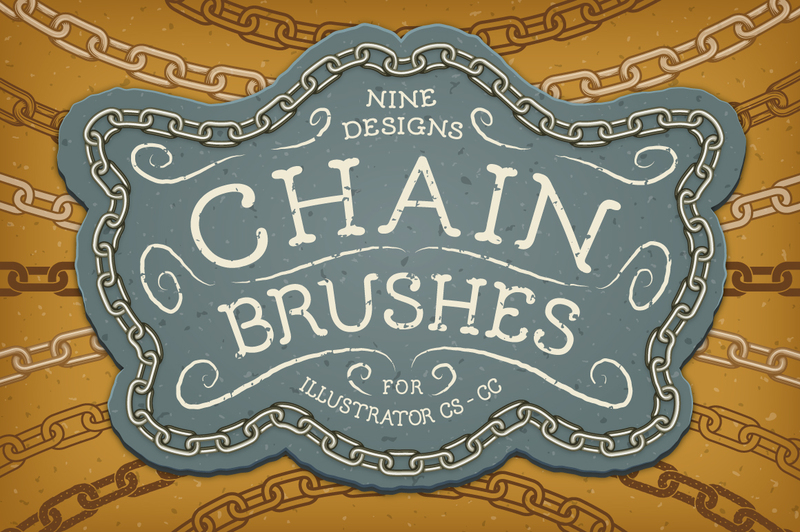 Flexible chain brushes for Illustrator! 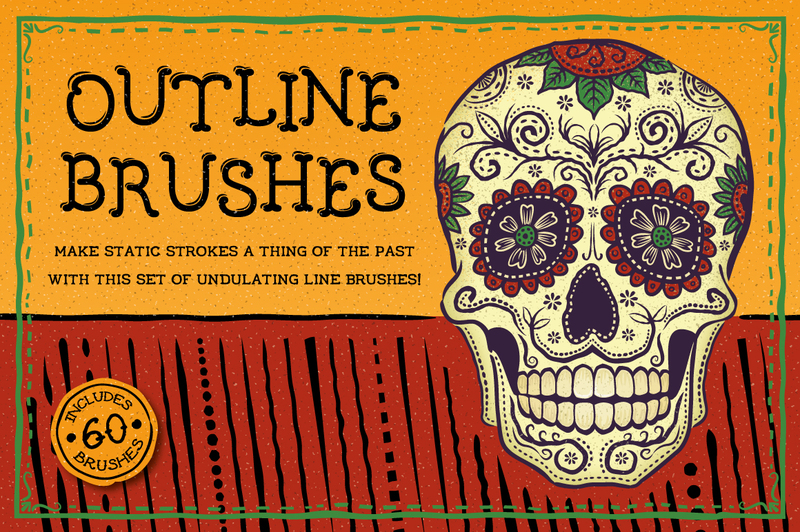 Bring static vector art to life with my versatile Outline Brushes! 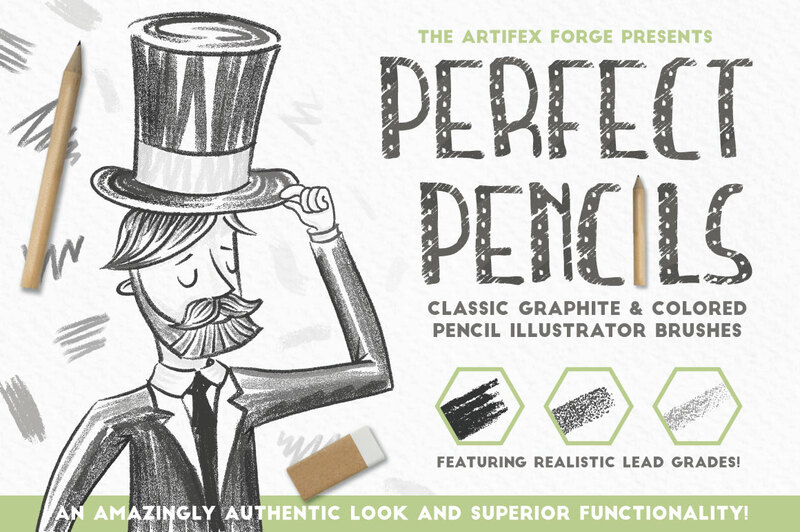 Authentic vector pencil strokes for Illustrator! 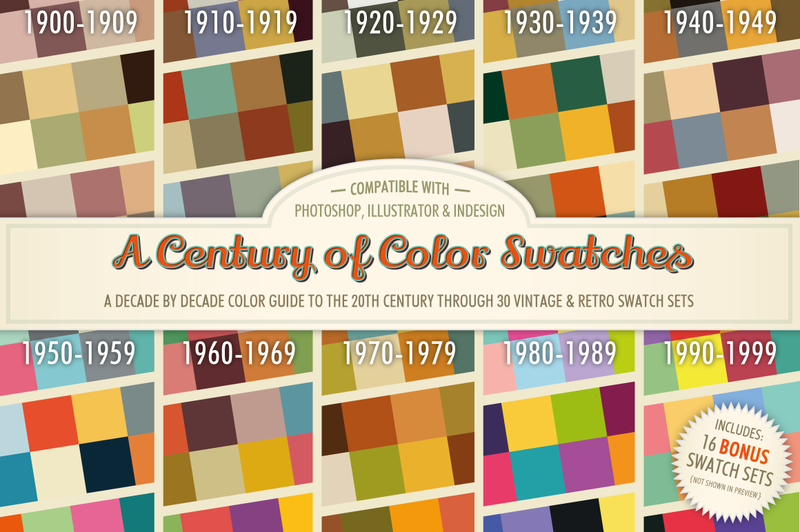 A massive selection of vintage color swatches for Photoshop, Illustrator and Indesign. 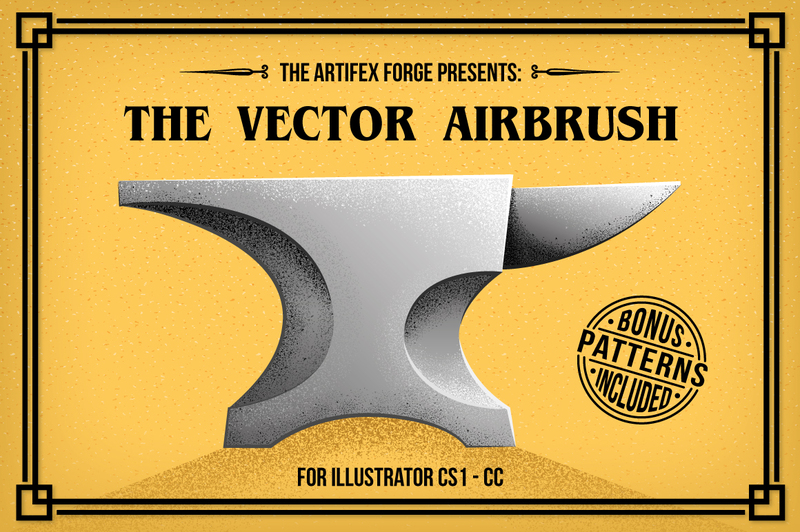 Give your vector art subtle airbrushed texture with these realistic brushes. 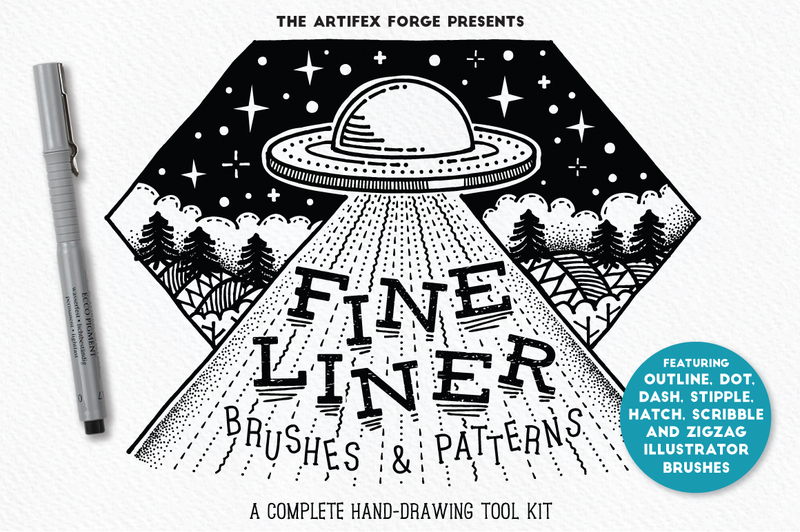 Bonus Patterns included! 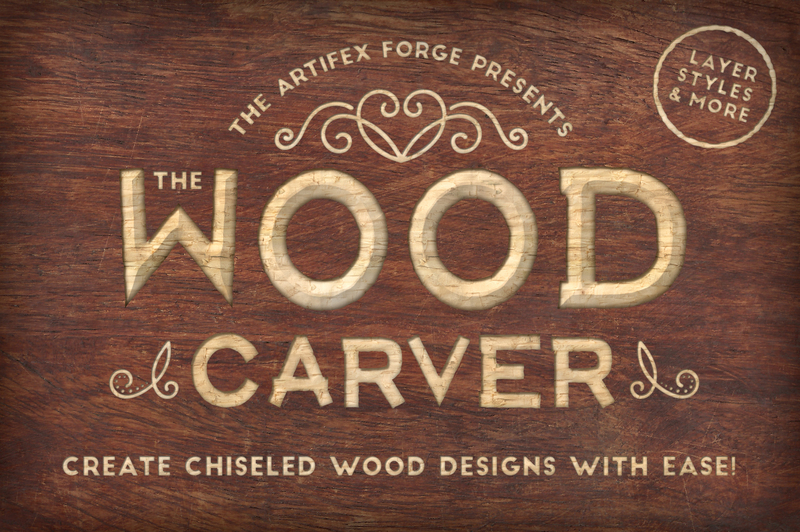 Convincing burnt wood layer styles, wood textures and more! 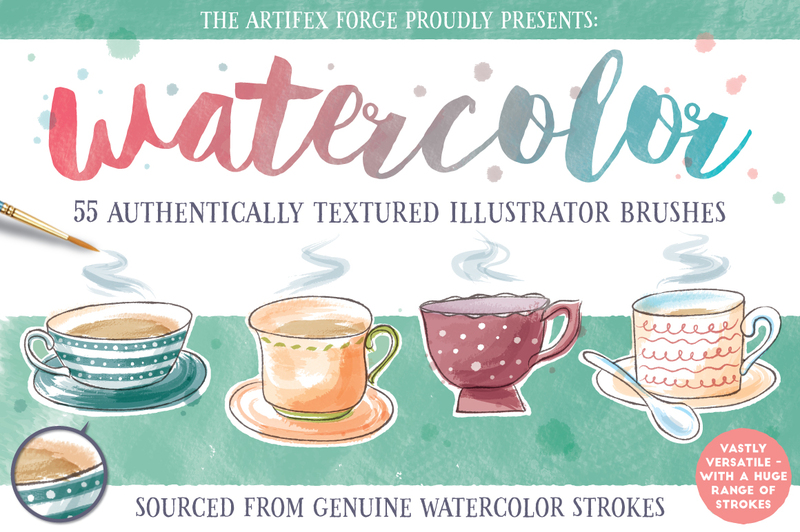 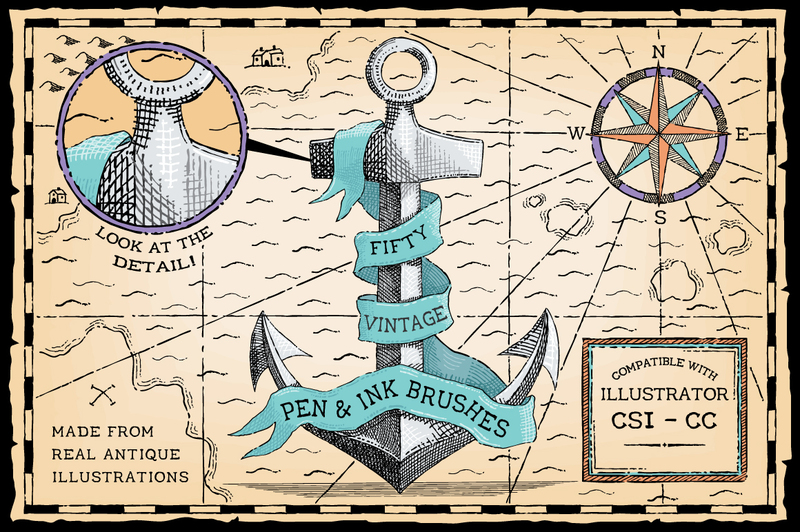 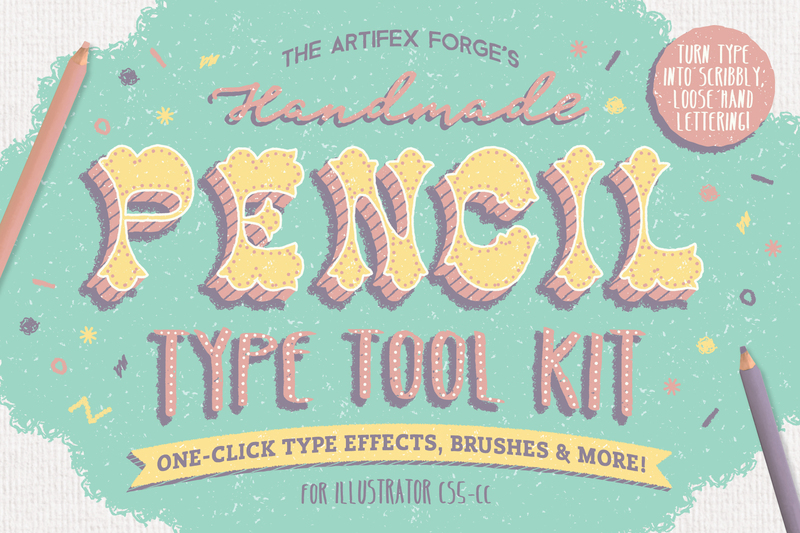 Create your own vintage designs and illustrations with these authentic brushes! 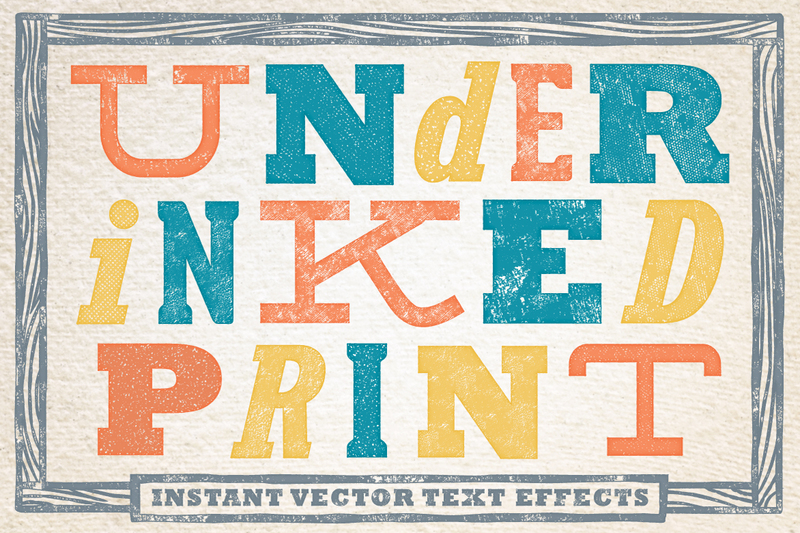 Transform text with these finely detailed vector text effects! 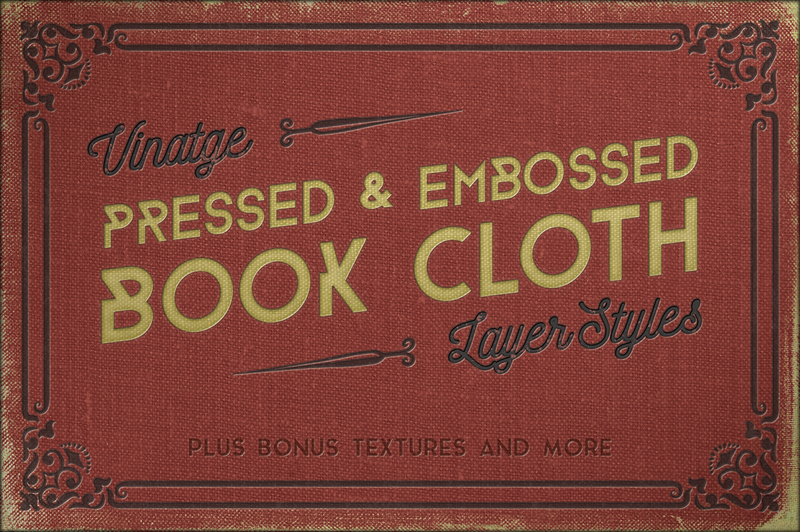 Easily make your own antique book themed designs with this great value layer styles! 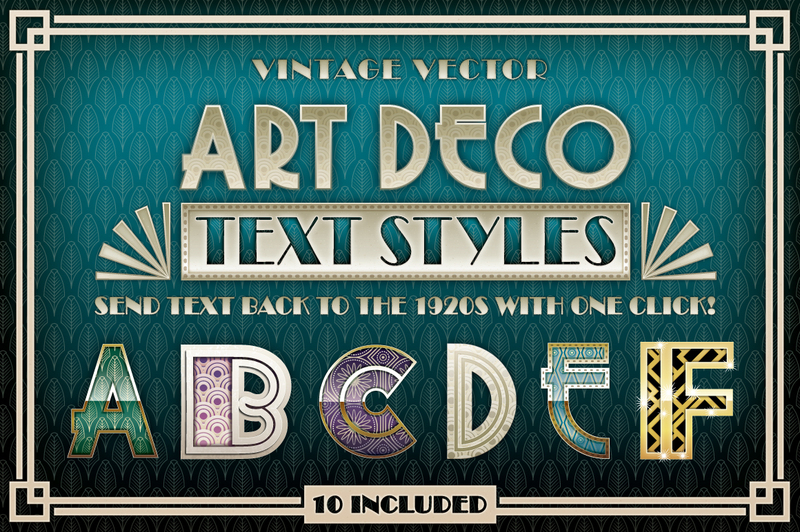 Vintage layer styles, backgrounds and more! 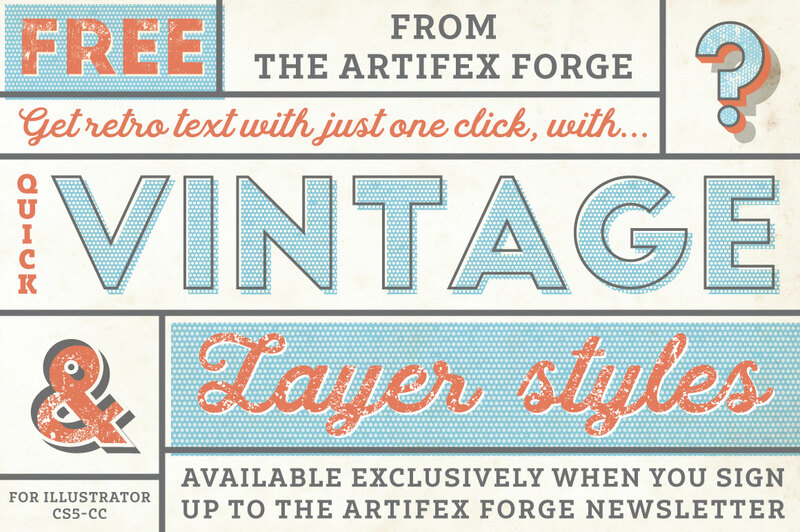 Make your text look like it’s come straight off of a vintage printing press with just one click! 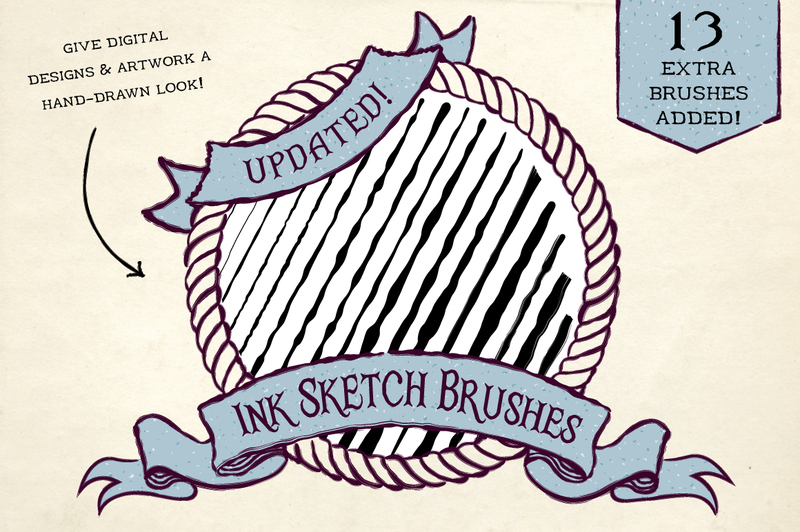 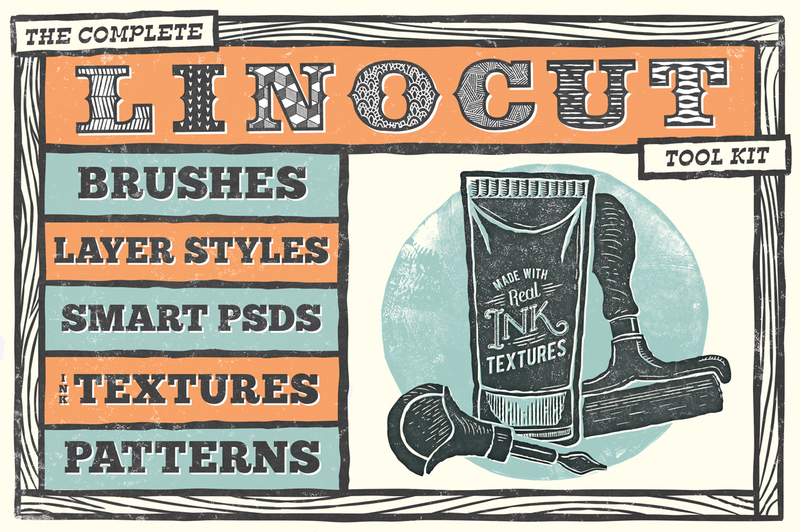 Draw your own digital linocuts with these realistic brushes! 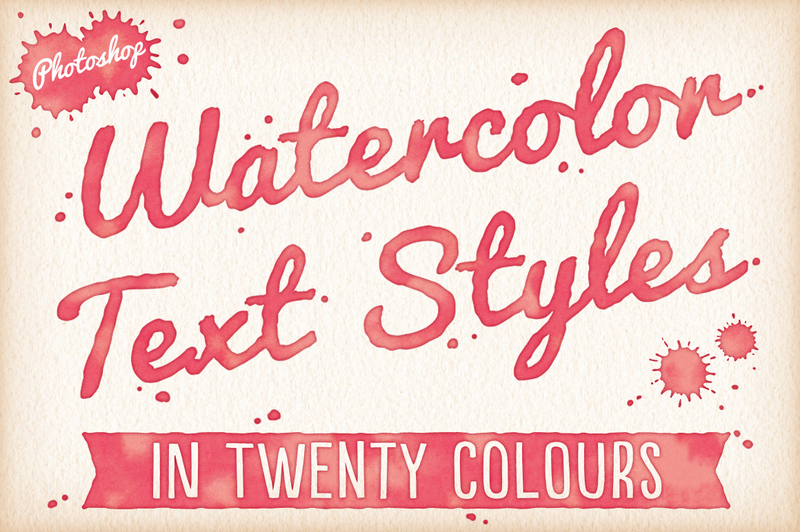 Achieve instant watercolor effects with the touch of a button! 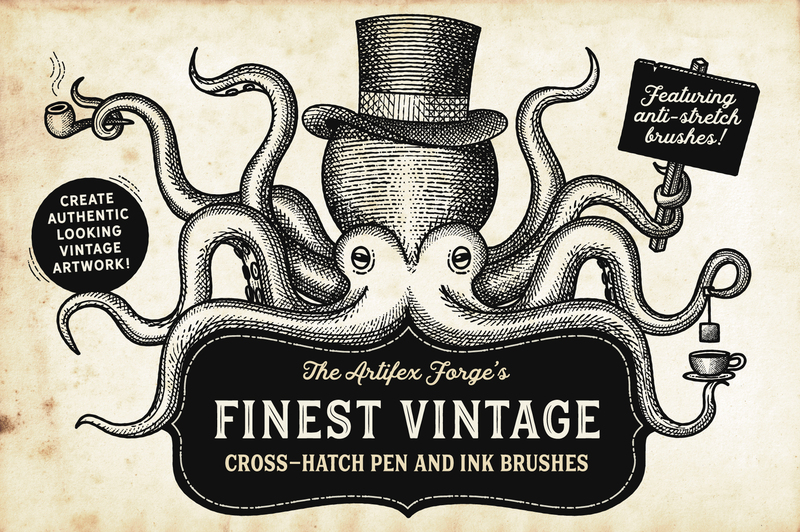 Beautifully undulating ink brushes for Illustrator! 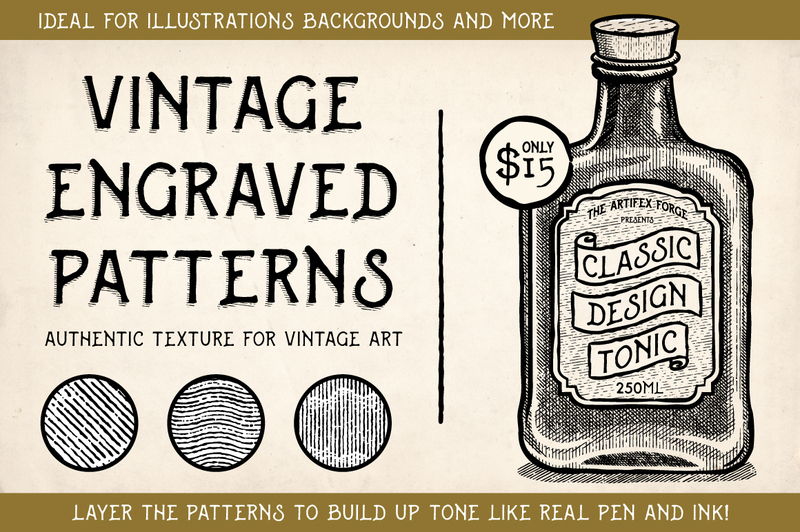 Make your own vintage illustrations with these hatched scatter brushes for Illustrator! 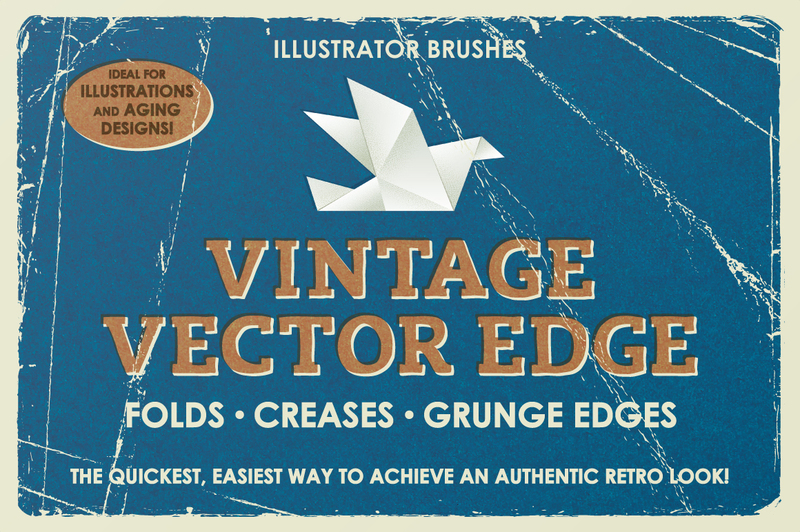 Make your own authentic vintage illustrations with these bestselling vector brushes! 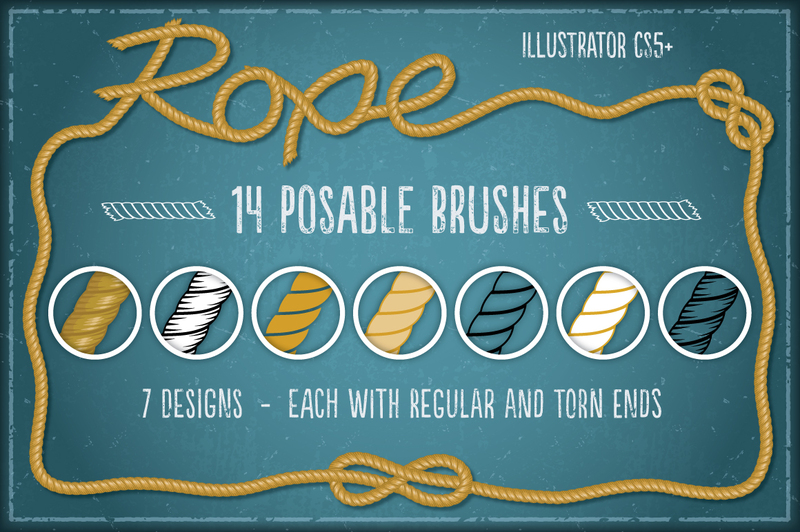 Flexible vector rope brushes for Illustrator!